Hundreds of millions of people around the world are about to come online for the first time. These ‘next billion users’ live in emerging markets like India, Brazil, and Indonesia—places where connectivity is improving and mobile phone usage is poised to dramatically increase. As a field researcher on Google's Next Billion Users team, I travel to emerging markets and talk to as many different kinds of people as I can, studying everything from an individual’s daily routines to their values, politics, and local infrastructure to understand how these factors impact the role of technology in their lives. A first-time internet user living in rural India will have very different needs and wants than a seasoned technophile in Los Angeles. At Google, we’ve taken the insights from our field research and developed a framework for designing technology aimed at emerging markets. 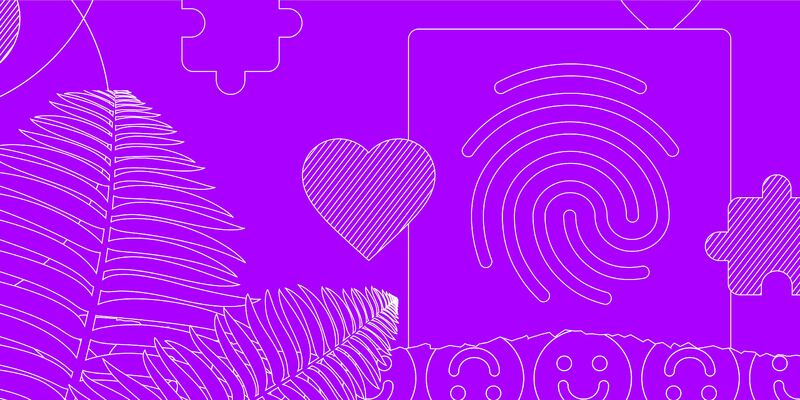 These nine essential points are crucial for designers to consider when creating apps, services, and devices tailored to the lives and local infrastructure of the next billion users. In the US, we’re used to ubiquitous connectivity—in some way or another, we’re always online. But that certainly isn’t true worldwide. Products in emerging markets have to be able to perform over slow or intermittent connectivity. Depending on a person’s location, the network might switch from WiFi to 3G to 2G to no connectivity at all, and your product has to accommodate that. When conducting research in Manilla, we noticed how urbanites can get stuck in traffic for three or more hours a day and how they use that time online, sometimes traveling through different pockets of connectivity. That’s a very different use case from a person living in rural Kenya, who might have to walk several miles to a cyber cafe in order to connect, or in India where only 17 percent of the population has internet access. Most of the users of our recent Google Station project—which supplies free public WiFi to 5 million users a day in 100 train stations across India—have never used WiFi before. Can your product work when it isn’t connected to the internet at all? A great example of working connectivity constraints is the YouTube Go app, now available in India. The app was designed to be “offline first” meaning that it’s usable even when it isn’t connected to the internet. While they’re far less common in the US, feature phones—devices which connect to the internet but don’t have all the capabilities of a smartphone—are still popular in a number of places around the globe. Even smartphones will have dramatically different capabilities from the Pixels and iPhones popular in the US. Most emerging-market devices cost just $40-60 and might come with 512MB of memory, a small, low-res screen, and limited battery life. John, who works as a trader in Accra, is an example of a typical user you might want to keep in mind: He purchased his smartphone from a second-hand market, and he uses two SIM cards—one for professional contacts and another for friends and family, as a way to reduce inter-carrier calling costs. Is your product designed to work with older, low-end devices and software? The Google Translate app was designed to take up very little storage space, about 5MBs depending on the device. Its smaller size makes it more usable on phones with older features. In about 95 percent of emerging markets, people rely almost entirely on expensive prepaid mobile data, and many can only afford 250MB of data per month. This variable alone has an enormous impact on user behavior. People will turn off their phones at night to save data and avoid accidental expenses. Shalini, a young woman we met in Mumbai, powers down her phone after each browsing session, especially at night. Her friends all do the same thing. The practice is so routine that members of the group now know when each others' phones are likely to be off. They also use offline peer-to-peer sharing to send downloaded music and movies to each other, instead of tapping into their data plans by streaming content online. When a $0.99 app can cost as much as an entire meal, you really need to consider how to optimize the amount of data an app uses—from installation, usage, and updates, to uninstallation and background services. People appreciate transparency when it comes to understanding their data consumption and they value the ability to control whether a product downloads over WiFi or uses data. Can your product provide value while respecting the data budget of users? The Google Play Store automatically updates apps over WiFi instead of data by default since data is typically more expensive than WiFi, even if it's limited by a cap. Some 38 percent of the world’s population doesn’t use a bank, and less than 2 percent of Indians have credit cards. It’s important to figure out how your product can support local forms of payment and emulate local business models. 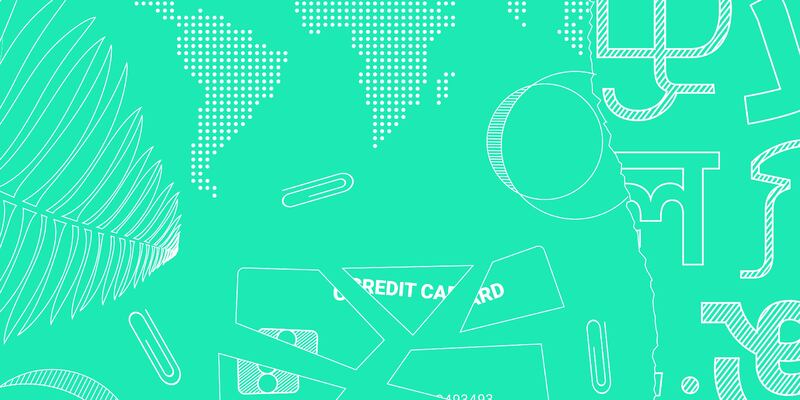 Cash-on-delivery (COD) is popular in many emerging markets, as it doesn’t require a credit or debit card, or even a bank account. COD also has some interesting benefits, like allowing buyers to verify goods before making a payment. One woman I talked to in Indonesia who orders branded clothing online, set up a side business by reselling some of the clothes locally for a small profit. She attracts buyers in her town using social tools like BlackBerry Messenger and Instagram to advertise the items. Mobile money is another banking alternative that’s heavily used in parts of sub-Saharan Africa and South Asia. It allows remittances (say from urban to rural areas) to happen in a very short time period. You have to figure out what’s appropriate for the market and the area when it comes to monetizing your product, whether it’s through buying and selling, free sampling, ads, or subscriptions. How do financial transactions work with your app? COD is the most popular payment method in emerging markets, but there are exceptions. The mobile money transfer app, M-PESA, allows users in Kenya to send and receive money using PIN-secured text messages. 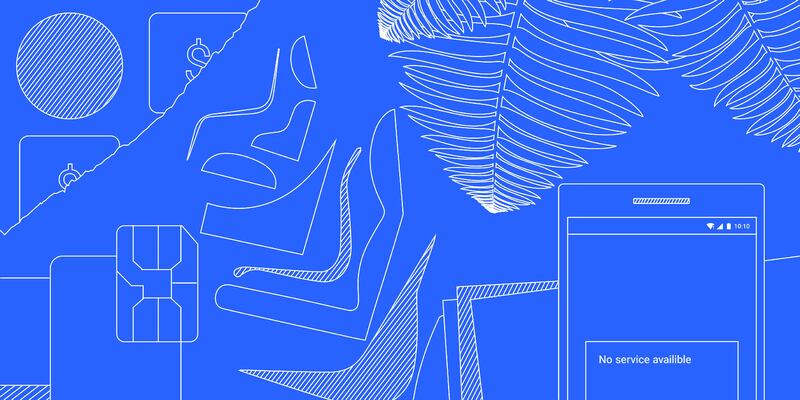 As researchers and designers, we embody a certain social class, area, or background of privilege—bridging those differences needs to be top-of-mind in order to make our work successful. If someone isn’t comfortable talking about a technology, they probably won’t be comfortable using it. Working on research for Google Station, we observed that many women were hesitant to use public WiFi. When we showed our first portal designs to local women, their reaction was, "Oh my God, how can I trust this service?" Indian law requires public WiFi-users to provide their phone numbers and get a code to access the portal. From interviews, we understood that there was a recent incident where a woman’s public profile photo was copied and applied onto an image of adult content. She suffered a lot of stigma from her family and ultimately committed suicide. Given that social context, it’s easy to understand these women’s fears about information security, and we clearly needed to first demonstrate our trustworthiness in the sign-on portal. Before they enter their phone number, we explicitly state "Your number is safe with us" and then link to an FAQ page addressing all of the questions we heard in our research. It helps to have field researchers conducting user studies in the market to understand if your product is respecting social, cultural, political, and religious norms. Also consider the context of where and how your product will be used. For example, if train stations are considered risky places in Manila, does your app’s map show alternate modes of transport? If men are more likely to own devices, how can you design your app to be more democratic? Does every part of your product operate properly within the user’s cultural context? The messaging app Hike allows people to automatically hide certain chats when the application is closed and access them later using a password. In a culture where young people often share devices with family members, this virtual private space is a boon. Many regions are multi-lingual, with a mix of regional, vernacular, and official languages. India, for example, has 22 languages with over a million speakers each. So for Google Station, we worked to make sure that the user interface supports multiple languages. But designers also have to consider the needs of users who’ve never learned to read or write. 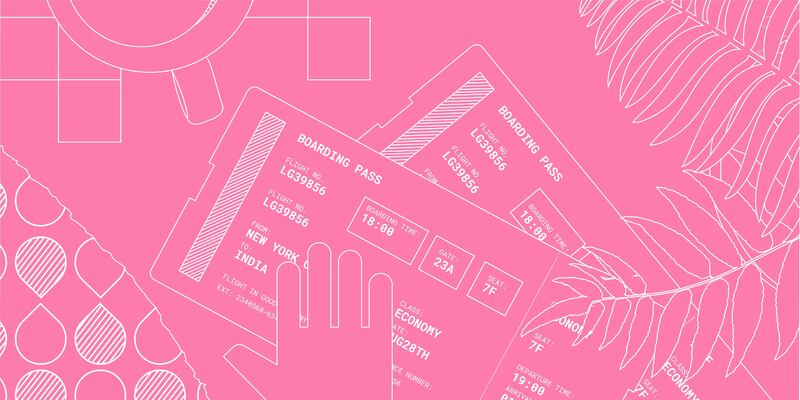 “Intuitive interfaces” are often called out in design discussions in any context, but designing for emerging markets brings that need front and center. Your app design will be more intuitive if you minimize text-based inputs and eliminate hierarchies understood only through language. Kijai, a woman I met in Jinja, learns how to use apps through symbolic and visual literacy. She relies on visual affordances like icons to identify components and features. This also impacts the way she uses search: Kijai and her daughter search for topics online and then switch to Google images to navigate the results more easily. Have you tested your app for local languages and low-literacy users? When literacy is low or texting in the local language is complicated, stickers can make it easier to communicate feelings and experiences. The messaging app Viber has a large market of sticker sets, allowing users to express themselves through local slang and characters. It doesn’t matter who you are or how much money you have, social interaction is the primary reason people come online. In many emerging markets, social media is the internet: Even if you don’t have enough data, or connectivity, or live in a country with Google search, if you can connect with people, you can get news. You can buy and sell things. You can search for information. You can express your identity and engage in conversation and debate. Community and social infrastructure is also key. Limited resources may mean that devices and data are shared. And trust in new technology often hinges on word-of-mouth. When researching for Google Station, we noticed that train passengers would often ask station shopkeepers for information, even when the information was displayed on TVs or announced over speakers. So we leveraged person-to-person trust, by arranging to have Google Station agents on-site, to help users connect to the WiFi and answer questions in each station. Does your design improve or leverage the user’s social infrastructure? YouTube Go leverages social contacts with a new “offline nearby sharing” feature that lets users send and receive videos when they’re together—without using data. “I don't like the way it looks,” was the reaction I heard over and over to an app with a lot of white space and muted colors. The minimal interface just couldn’t compete for the user’s attention in a place where local visuals are more vibrant and dense. Aesthetic styles that are currently popular in the west—such as minimal use of color, sound, and text, as well as abstracted visual elements—can lose impact in a more sensory-rich environment. But people still need to easily navigate your app. The line between density and clutter is a tricky one. Balance meaningfulness and hierarchy with the local aesthetic. How can your interface speak to the local visual aesthetic? The UC Browser, which is popular in India, has a feature-dense design putting a range of app launchers and browser bookmarks front and center, rather than focusing on a single primary action. The daily experience can be challenging in many emerging markets, with issues ranging from meeting basic needs, to sitting in hours-long traffic jams, to dealing with economic and infrastructural constraints. Users often appreciate design that attempts to charm and surprise—even utility apps relating to file or memory management don’t have to be boring. These nine considerations are a great place to start when designing products for emerging markets, but there's a huge difference between reading a report about daily life in Bangalore and talking with local residents, over tea, about their everyday lives. It’s this kind of personal experience that tells you how your app, product, or design will really be used, and trust me, it’s often different than you intended. So get out there and visit the people and places you’re designing for—ask questions, take notes, and set aside your own assumptions before knocking on someone else’s door. Look for the insights that can make or break your product. Your next billion users will thank you.